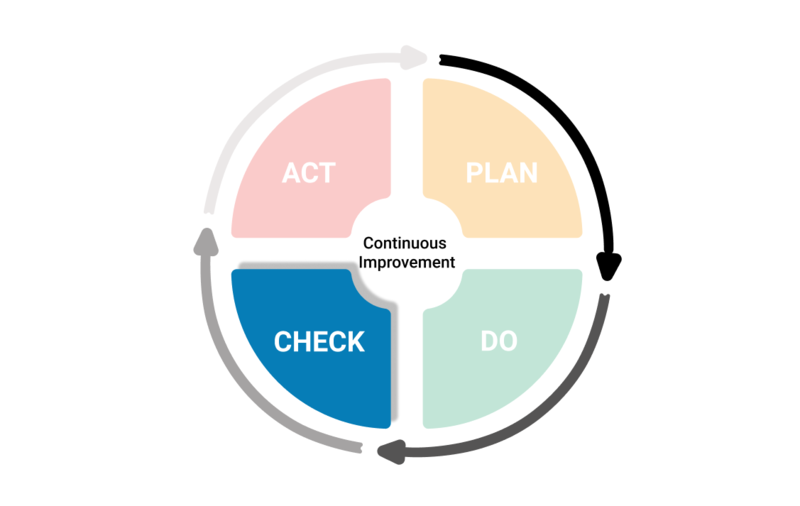 PDCA (plan-do-check-act) is a method that can enable your team to improve processes and products continuously. Find out more about the method and its practical applications. Explained briefly, Plan-Do-Check-Act cycle is a model for carrying out change. It is an essential part of the lean manufacturing philosophy and a key prerequisite for continuous improvement of people and processes. 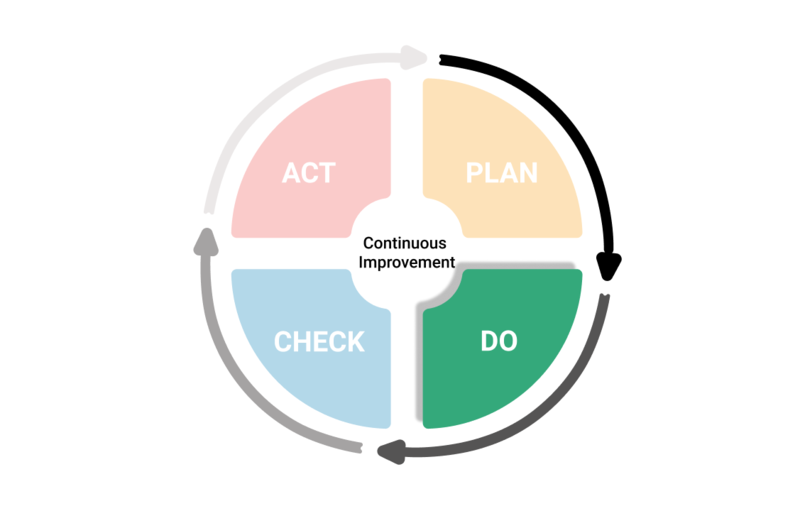 First, proposed by Walter Shewhart and later developed by William Deming, PDCA cycle became a widespread framework for constant improvements in manufacturing, management, and other areas. PDCA is a simple four-stage method that enables teams to avoid recurring mistakes and improve processes. Let’s get deeper into the topic and learn more about PDCA. Where Does Plan-Do-Check-Act Cycle Come From? The American statistician and physicist Walter Shewhart is considered the father of PDCA. He was passionate about statistical analysis and quality improvement and he built the foundation of PDCA recorded in numerous publications. 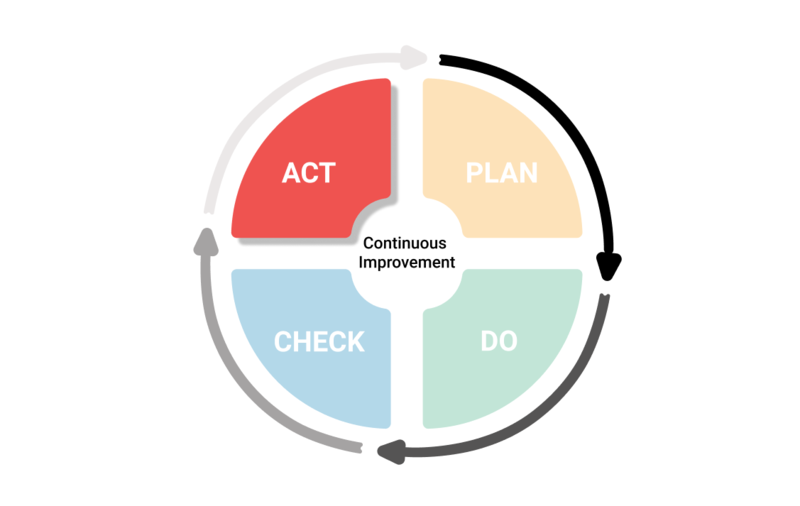 Years later, inspired by Shewhart’s ideas, William Deming actually developed the model into a learning and improvement cycle, which became popular as PDCA. This is why the model is also known as Shewhart cycle or Deming cycle. PDCA cycle is an iterative approach for continually improving products, people, and services. It became an integral part of what is known today as Lean management. The model includes solutions testing, analyzing results and improving the process. For example, imagine that you have plenty of customer’s complaints about slow response rate of your support team. Then you will probably need to improve the way your team works in order to keep customers satisfied. That is the point where PDCA comes into play. 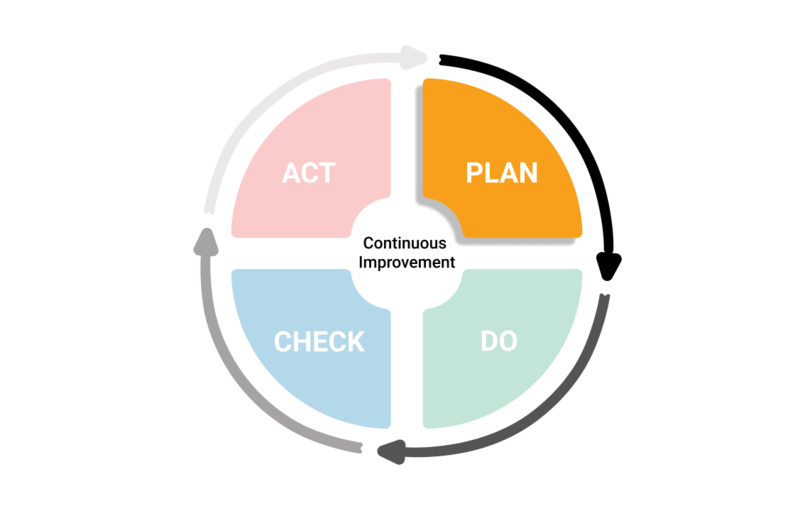 Let’s explore the four stages of PDCA in details. At this stage, you will literally plan what needs to be done. Depending on the size of the project, planning can take a major part of your team’s efforts. It will usually consist of smaller steps, so you can build a proper plan with fewer possibilities of failure. What is the core problem we need to solve? What resources do we need? What is the best solution for fixing the problem with the available resources? In what conditions the plan will be considered successful? What are the goals? Have in mind, you and your team may need to go through the plan ? couple of times, before being able to proceed. In this case, it is appropriate to use a technique for creating and maintaining open feedback loops such as Hoshin Kanri Catchball. It will enable you to collect enough information before you decide to proceed. After you have agreed on the plan, it is time to take action. At this stage, you will apply everything that has been considered during the previous stage. Be aware that unpredicted problems may occur at this phase. This is why in a perfect situation, you may first try to incorporate your plan on a small scale and in a controlled environment. Standardization is something that will definitely help your team apply the plan smoothly. Make sure that everybody knows their roles and responsibilities. This is probably the most important stage of the PDCA cycle. If you want to clarify your plan, avoid recurring mistakes and apply continuous improvement successfully, you need to pay enough attention to the CHECK phase. Here, you need to audit your plan’s execution and see if your initial plan actually worked. Moreover, your team will be able to identify problematic parts of the current process and eliminate them in future. If something went wrong during the process you need to analyze it and find the root cause of the problems. Finally, you arrive at the last stage. Previously, you developed, applied and checked your plan. Now, you need to act. If everything seems perfect and your team managed to achieve the original goals, then you can proceed and apply your initial plan. It can be appropriate to adopt the whole plan if objectives are met. Respectively, your PDCA model will become the new standard baseline. However, every time you repeat a standardized plan, remind your team to carefully go through all steps again and try to improve. Plan-Do-Check-Act cycle is a simple, but powerful framework for fixing issues on any level of your organization. It can be part of a bigger planning process such as Hoshin Kanri. The repetitive approach helps your team find and test solutions and improve them through a waste-reducing cycle. 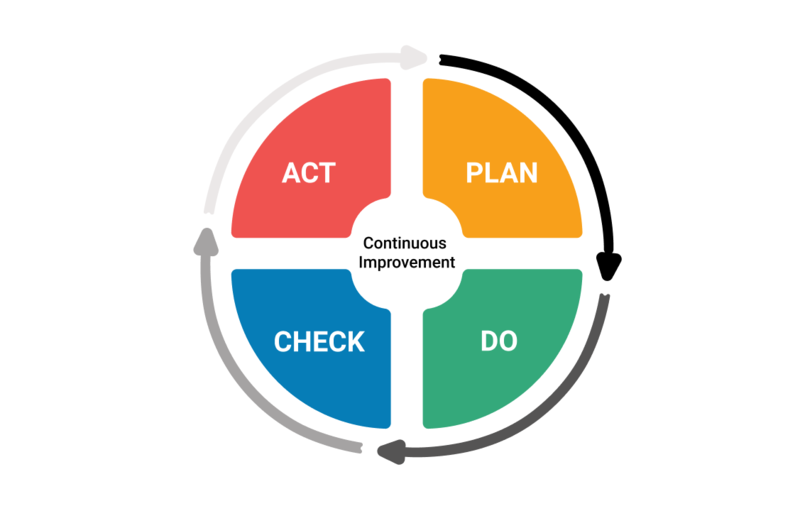 The PDCA cycle includes a mandatory commitment to continuous improvement and it can have a positive impact on productivity and efficiency. Last but, not least, keep in mind that the PDCA model requires a certain amount of time and it may not be appropriate for solving urgent issues. It stimulates continuous improvement of people and processes. It lets your team test possible solutions on a small scale and in controlled environment. It prevents the work process from recurring mistakes.